Florals, decor, lighting. 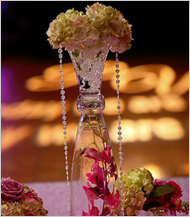 . .
Artistry Designs Group is a full service event production and floral design company that prides itself in turning the ordinary into the extraordinary at any price range. Using florals, fabrics, lighting and other props, our team of designers can create the aesthetic you have always dreamed about for your wedding or event. You will find our work artistic, unusual and sophisticated. From specialty linens, lighting schemes, to fabric drape treatments and custom furniture, we work to closely understand your needs, personal style and anything else that matters most to you. 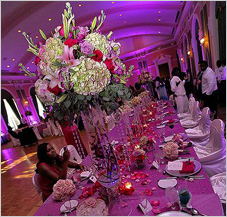 There is no doubt that Artistry Designs Group will give you the very best quality on a better budget! Let us help you create your next unforgetable event. Please contact us for a complimentary consultation.